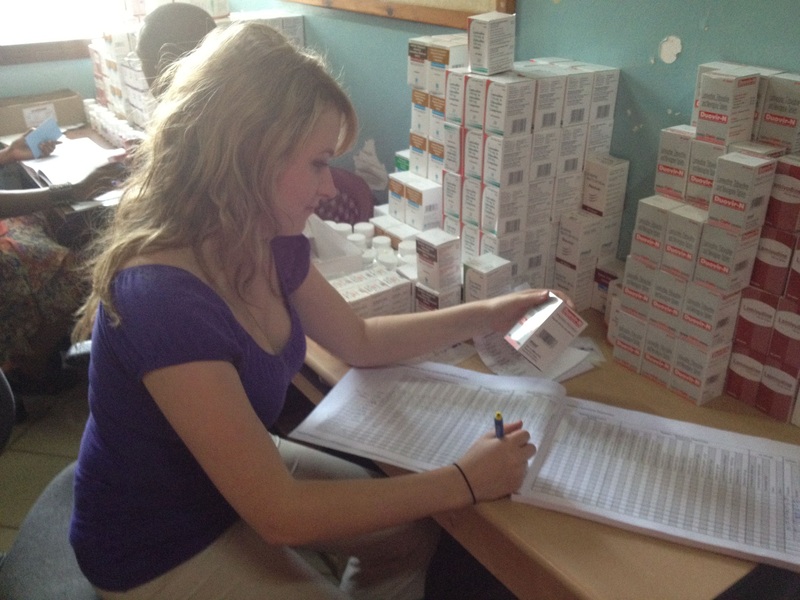 Here we present the final piece in our three part series on Global Health Office Summer Programs. An interesting cultural and clinical perspective from our fabulous students! 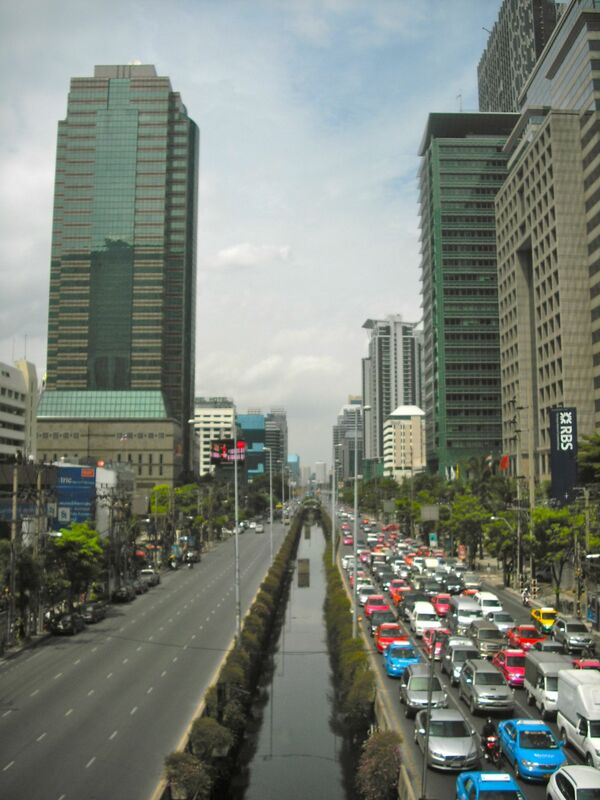 The city of Bangkok on the street where our language lessons were held. It shows the tall buildings in the financial district and the large number of cars and traffic. This is a money tree in the Psychiatric ward. The colourful bank notes depict images of King Rama IV and the current King. 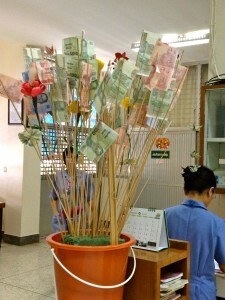 When I asked the staff what its purpose was, they told me that they collect money on the tree and then donate it to a charity. I guess money does grow on trees after all. In the Paediatrics unit, this is a shrine/memorial of the Buddha. The 2 main religions in Thailand are Buddhism and Islam, with the overwhelming majority of people being Buddhists. 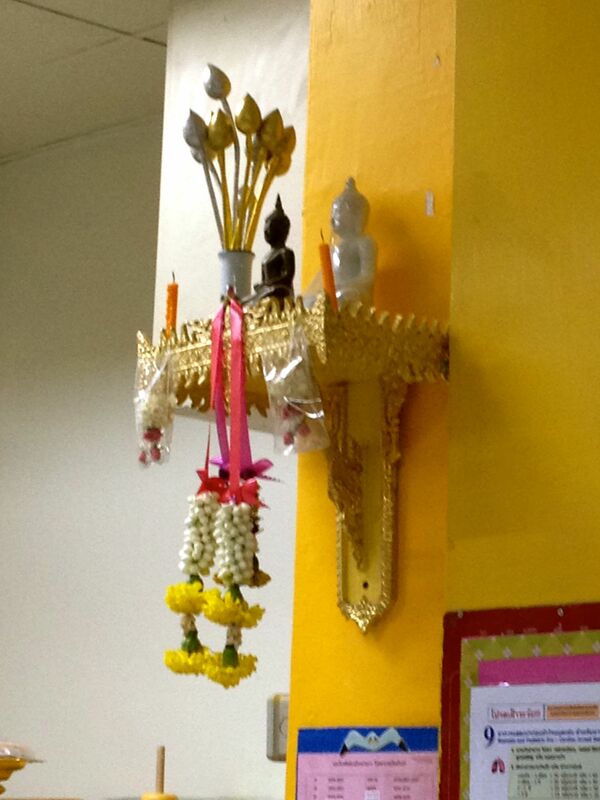 Buddha images and tributes are present everywhere in Thailand from hospitals to taxis to people’s homes. This is the nursing station in the Pediatrics department of KKU. At the station, there are 3 nurses and one medical student. In the back room, there are 3 medical students discussing cases. Hanging on the wall, you can see a picture of the king and queen of Thailand. 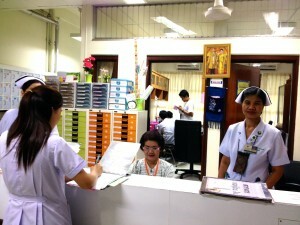 Pictures of the king were present all over the hospital and the rest of Thailand. At the time of our elective, the king was ill and staying at the Sirirat Public Hospital in Bangkok. 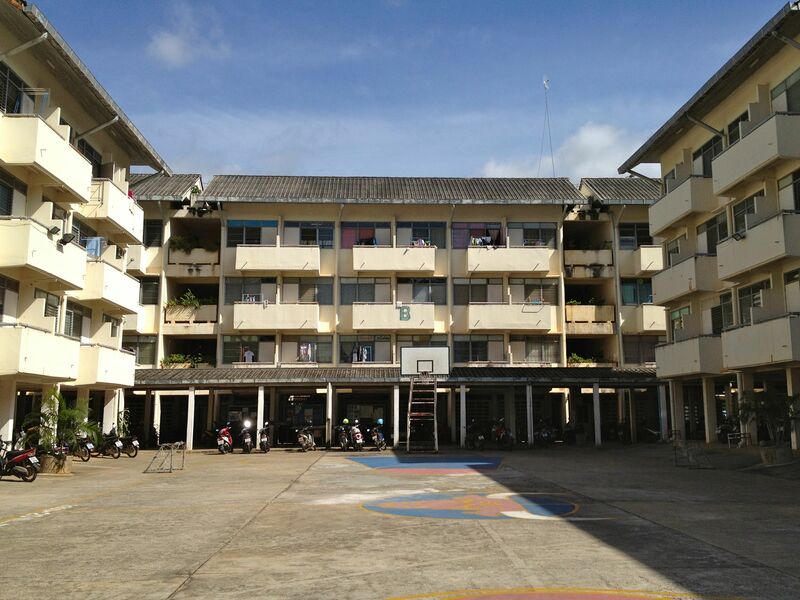 This is the medical dormitory 3, where Jocelyn Stairs, Carolyn Reardon and I stayed during the month of our elective. In Thai, it is pronounced “huh pet saam” . The dormitory is co-ed but male and female medical students are divided by buildings. (A is for boys, B and C are for girls: more female medical students than male in all of KKU). We stayed in B. Every evening, the students gathered on the court to play basketball. You can also see the many motorcycles parked in the front of the building. This is the main mode of transportation for most medical students at KKU although, some had four-wheeled vehicles instead as their parents did not approve of the more dangerous motorcycles. From our dormitory, the KKU hospital was about 10 minutes on foot and 3 minutes by car. These are the medical students at KKU that showed us around Khon Kaen. They are all in the 5th year of medicine out of 6 years. In Thailand, students enter directly into medical school from high school and the medical program is 6 years long. The students names’ are (from left to right): Ping, Bo and Judy. 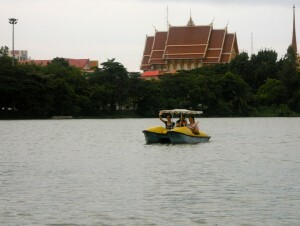 This picture was taken during our paddle-boat ride in Khon Kaen. In the background, you can see the temple grounds. Wat Si Chum (Temple of bodhi Tree) in Sukhothai, Thailand. 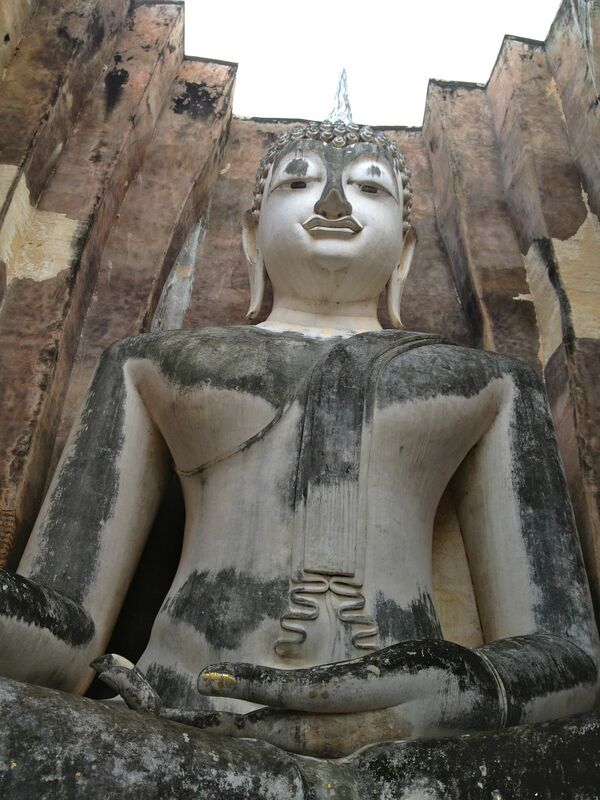 Sukhothai was the capital of Thailand during the 13th and the 14th centuries. It is about 6 hours away from Khon Kaen by bus. We visited Sukhothai on one of our weekends during the elective. The entire Sukhothai historical park was stunning but the most breathtaking sight was this giant buddha. During our visit, we met a Thai lady who came to pay tributes to the Buddha and she told us of a tradition of praying to the Buddha. She said that we can kneel in front of him, introduce ourselves to him and ask for one wish. Then, we were to promise that we would come back to thank him if this wish comes true. As we left, she told us not to look back at the Buddha. 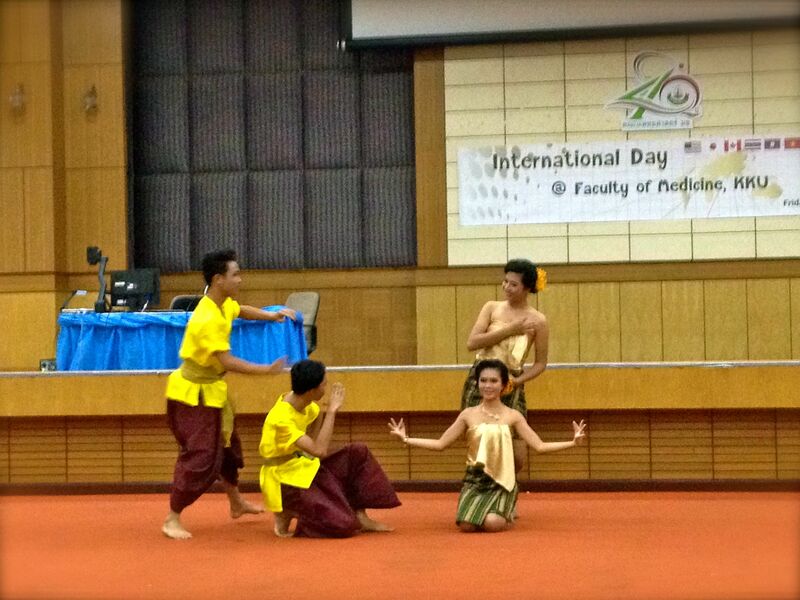 It was a very wonderful experience to take part in this piece of Thai culture. This is a traditional Thai dance performed by Thai medical students at KKU. On our last day of elective, the International office put on an International fair which we all attended. We enjoyed Thai dance and food and also sang the Canadian national anthem for the Thai staff and students. 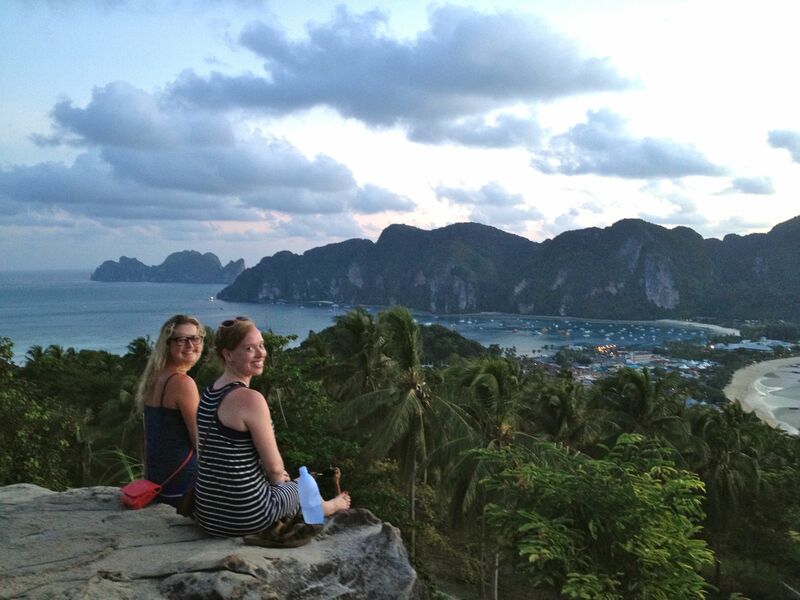 Carolyn Reardon and Jocelyn Stairs, two of my fellow Med 1 students who did the elective in Thailand. 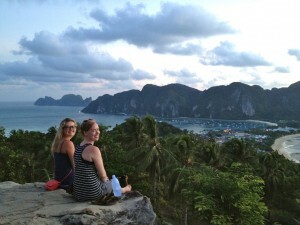 This was at the lookout point on Koh Phi Phi on our last night together in Thailand before returning to Canada. We finished our trip with a few weeks of traveling after the elective in Vietnam and Southern Thailand. As evident in this picture, Thailand has beautiful scenery and beaches, but also beautiful culture and people. A long journey through the sky, over the ocean, across the mountains, desert , bumpy roads and many other land masses will bring a small team from Dalhousie University to Ifakara in Tanzania. Drs Noni MacDonald and Bob Bortolussi have been leading a Microresearch Training program for several years with partners in East Africa. This October, they will be joined by Dr John LeBlanc, Terrilyn Chiasson and yours truly (Shawna O’Hearn) to facilitate a 2 week intensive training program. Over the next few weeks, I will write reflections at the end of each day (and try to gather a few guest bloggers to join me) so that we can share our discoveries, engage in global health research discussions and introduce you to our partners in Tanzania. If we miss anything, send us questions and we will add stories and photos for you! 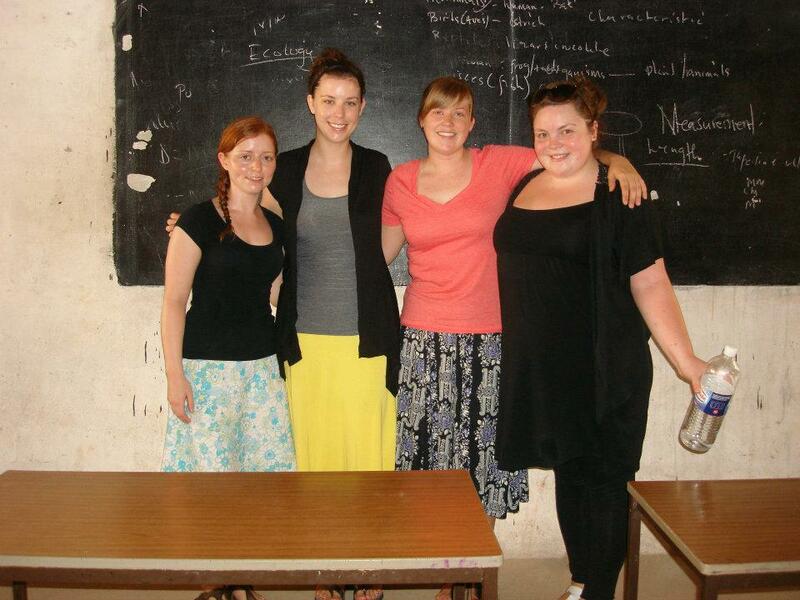 This is part two of our three part series on student experiences from their 2012 Global Health Electives. Before starting our global health electives, organized by the Global Health Office at Dalhousie, three medical students and I set out to climb Mount Kilimanjaro. This was a gorgeous seven-day journey covering a huge span of terrain. The hike became quite grueling as we reached higher altitudes, but we were well-rewarded once we reached the summit. 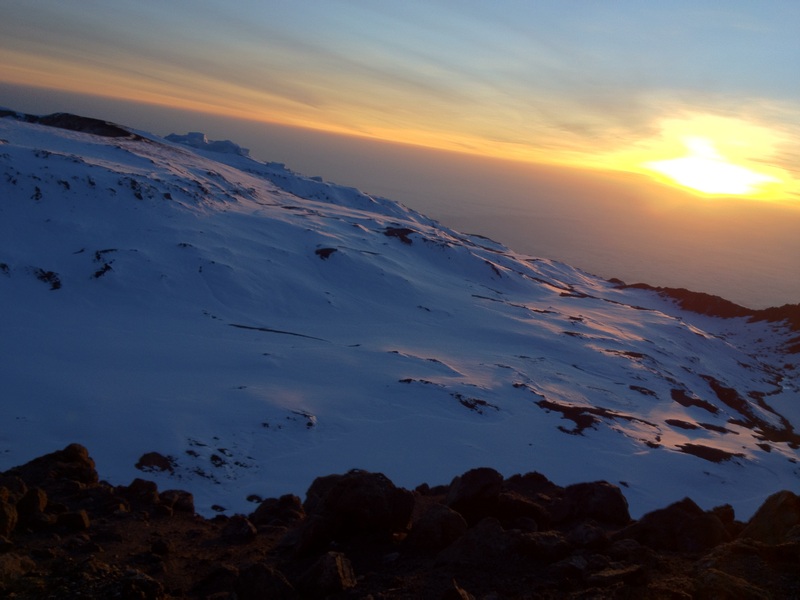 We arrived at the top, the snow-covered Uhuru Peak, just as the sun was coming up in the morning. The sunrise was breathtaking. This photo was taken when the sun had just started to rise above the clouds. 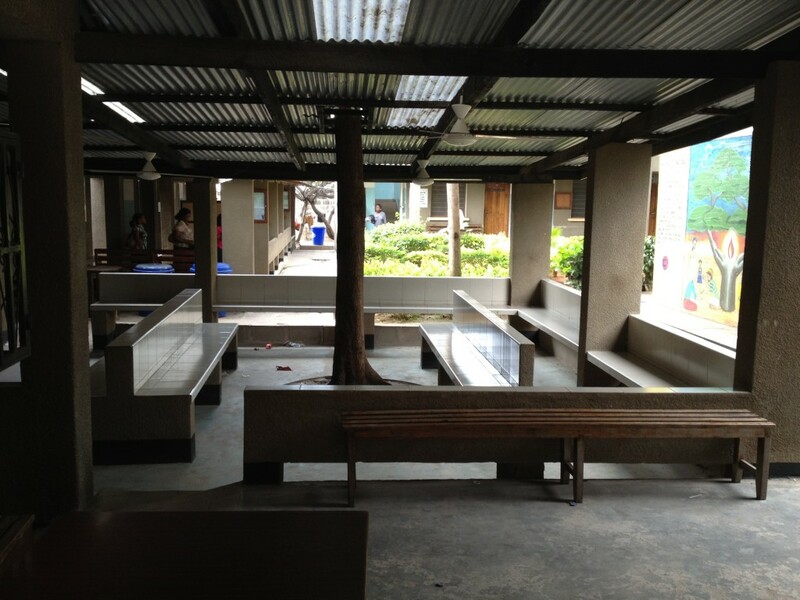 This is the main waiting area of the PASADA HIV/AIDS Clinic in Dar es Salaam. Only late in the day would the seats be found so empty – during clinic hours there was a steady coming and going of patients, waiting to be seen by doctors or to pick up prescriptions. What looks like a support beam in the center of the seating is actually a tree, growing through and above the roof. This shows the perspective of a nurse working in the dispensary of the pharmacy, looking out into the waiting area. 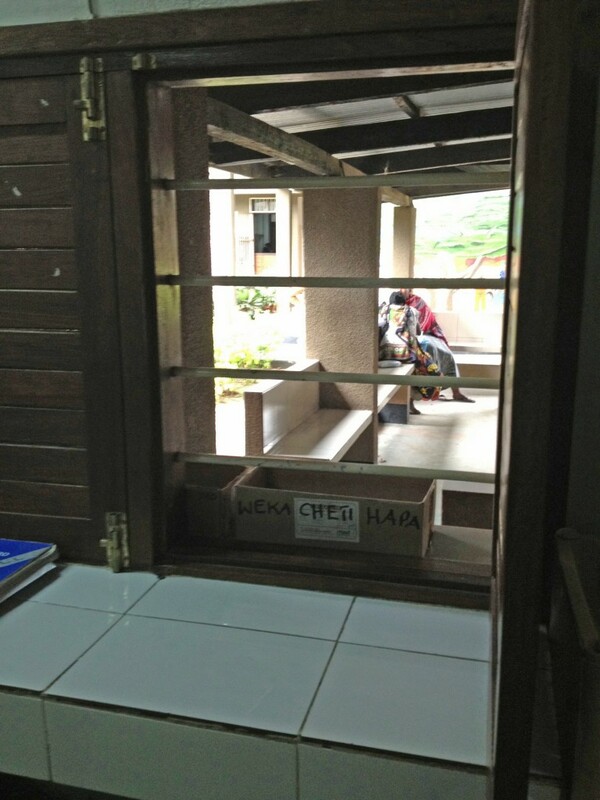 The box labeled “weka cheti hapa” (“put prescription here”) was where prescriptions would be handed in by patients, and then processed and filled in the dispensary. Further to the left was another window where the filled prescriptions would be picked up and the patients counseled about their medications. Every Tuesday was devoted to appointments for children at the clinic, with different age groups being represented on different weeks of the month. On these “pediatric days,” the clinic was always bustling with activity even more than usual. 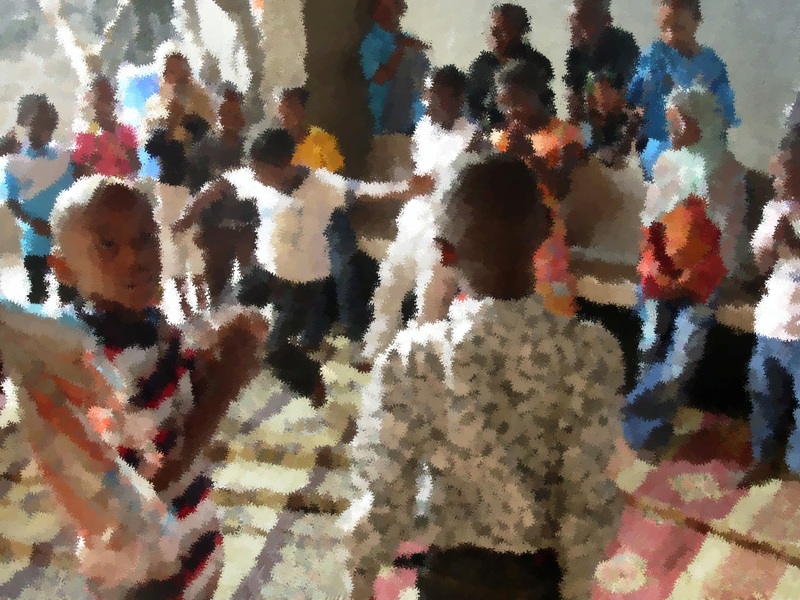 Seen here are children in the waiting area playing a game where they would sing together in a circle and take turns dancing in the middle. Antiretroviral medication was provided in a designated area of the pharmacy at PASADA. As a pharmacy student I enjoyed spending time here, dispensing the appropriate medications to patients and logging it by hand in the leger book. After some time and supervised practice, I was able to tell patients in simple Swahili how and when to take their medications and when to return to the clinic for their next appointment. PASADA offers a home-based care service where patients who are palliative or otherwise unable to travel to the clinic are visited in their homes by a nurse or clinical medical officer. I was lucky enough to come along for a few of these visits, helping me to gain a better understanding of the living conditions in various parts of Dar es Salaam. 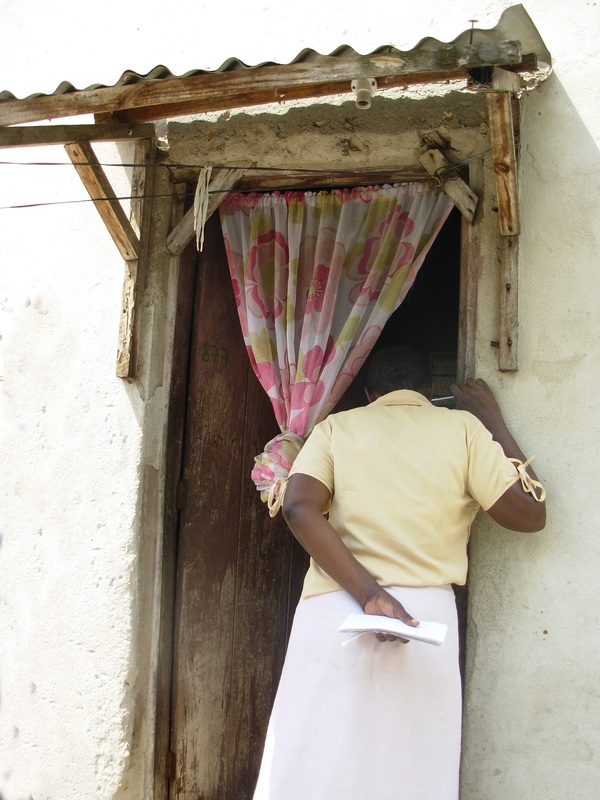 Pictured here is a PASADA volunteer looking in on one such appointment. On this particular visit the patient was highly immobile and seated on the floor close to the door. There was only space for the attending nurse to go inside the home, so I waited outside. 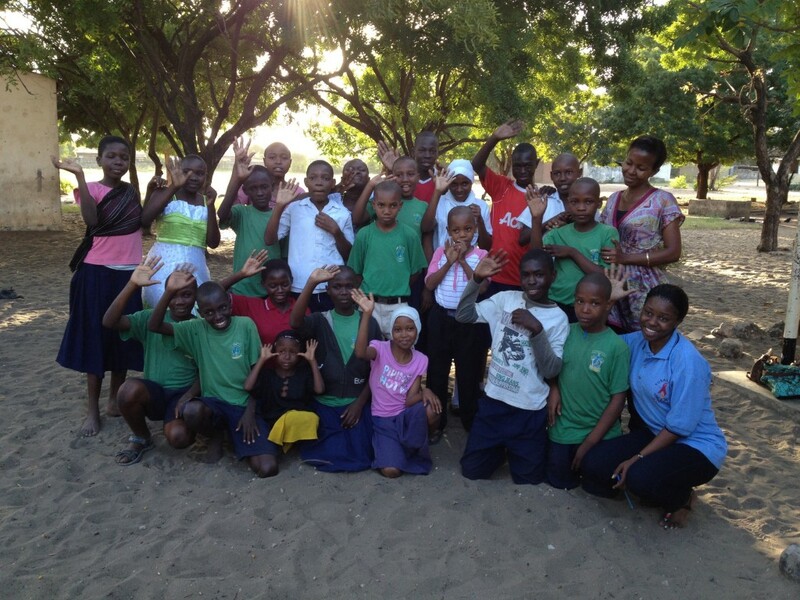 This is a group of children in the MVC (Most Vulnerable Children) program at PASADA, which provides assistance and support to children orphaned due to HIV/AIDS or who are otherwise not receiving adequate care. They were attending an after-school program that happens every Friday called “Right to Play,” with educational games organized by volunteers. My fellow students and I were happy to take part in the fun one Friday afternoon. 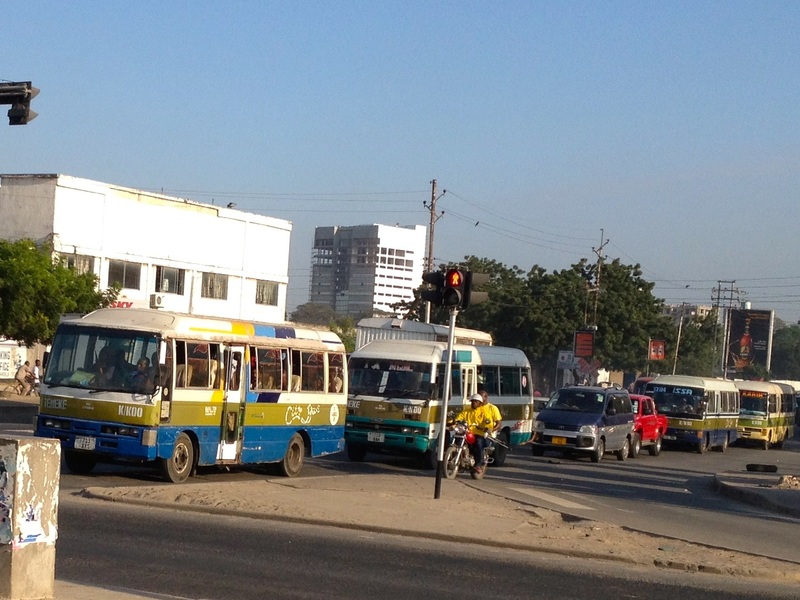 To travel to and from the clinic we would take a public bus, known locally as a “daladala.” Pictured here are a few daladalas waiting at an intersection – they are painted in different colours to represent different routes of travel. Seats on these buses would fill up quickly, so most often passengers would stand in the aisle. An incredible amount of passengers would be squeezed on during some daladala rides – personal space was minimal or nonexistent. This photo was taken on a bus ride from Dar es Salaam to Arusha, Tanzania. Small shops lined many of the urban streets, and it was common to see vendors with fruits and vegetables walking down the street, selling their produce as they went. 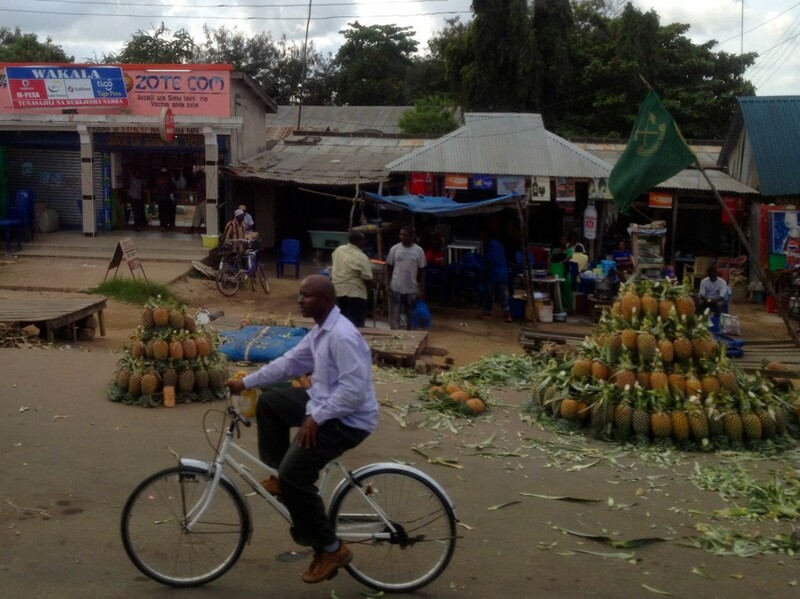 Here, fresh pineapples are being sold on the roadside. After completing out global health elective, all of the students travelling to Tanzania from Dalhousie went on a five-day safari. We spent two days in the Serengeti National Park, where this photo was taken. “Serengeti” means “endless plains,” and the landscape certainly reflected that. I was amazed at the amount and variety of animals we saw (and up close, too!) 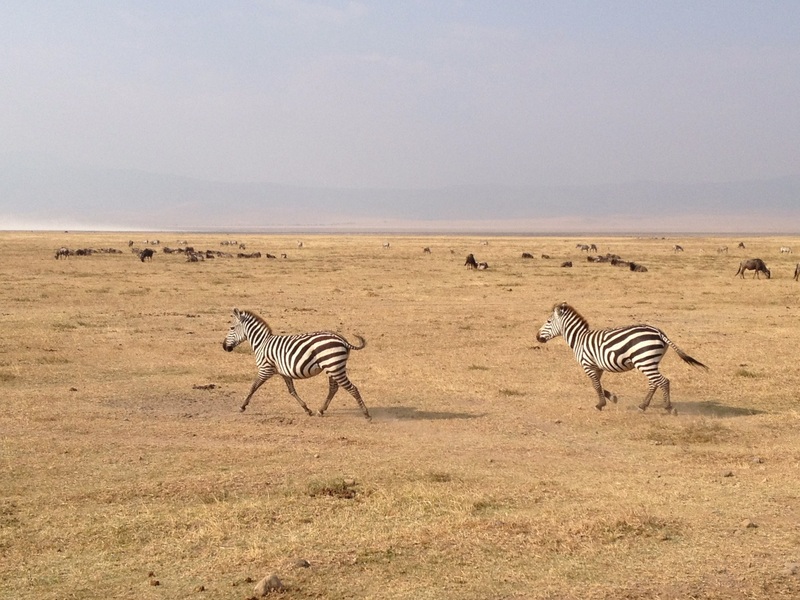 – Zebra, gazelles, wildebeest, lions, elephants, giraffes and so much more. I found the coats of zebra particularly beautiful. Our Summer Program students are heading back to class after experiencing a worldview of healthcare systems in Tanzania, Thailand and the Gambia. Over the next few weeks, we will share a three part series including photo essays and a story documented by our students during their 2012 electives. (L-R) Stephanie (Med 1), Lauren Smith (Nursing 3), Pam Straight (Nursing 3), and Katie Van Patter (Nursing 3) gear up for their very first day as peer health educators! Having just completed my third year of nursing school, I knew there were a lot of elements that I loved about nursing. I like connecting with people, I like to learn, and I love a challenge. Nursing provides me with all of this but one of the biggest allures about nursing to me is how transferable it is. No matter where you are, people always want to maintain their health and will therefore always need nurses. Travelling is a passion of mine so when an opportunity came up to travel with the Dalhousie Global Health Office and The Nova Scotia Gambia Association to The Gambia as a summer intern, I knew this was an opportunity I could not pass up. Upon being selected to go on this adventure, I participated in four pre-departure sessions to help orient me for the trip; but nothing quite prepares you like actually living it! While in The Gambia, I spent two and a half weeks travelling around the country teaching in four different schools about water safety, conservation, and scarcity. The passion for learning that the students had in addition to their always warm and inviting attitude made me feel instantly appreciative and grateful to be there. I was there to teach them about water but they taught me so much more. I saw first-hand how strong, smart, and truly happy these students were. Some of these students had barely enough money to stay in school each year and most could not afford to buy new uniforms to replace their currents ones which had just one button on their shirt or were too short in the arms and legs but they would share everything that they did have with one another and with me. I was consistently blown away by their hospitality and their truly kind spirits. The Gambia is known as the Smiling Coast of Africa and I can see why. Never have I found everyone in a country to be so happy, friendly, and welcoming. I also spent a week doing some nursing work in the psychiatric facility. It was such an eye opening week. I was fortunate enough to see many different elements of their mental health care model. I spent a day in admissions with the nurses, a day in occupational therapy, a day doing patient assessments with the doctor, and a day working in their community outpatient clinic. I was amazed by how much the health care team could accomplish with so few resources. I learned that people with epilepsy are sent to the psychiatric hospital for treatment because there are no neurologists and anti-seizure medications are too expensive to bring into the country and so psychiatry is the closest link to treatment. I spent just four weeks in The Gambia but they have changed me for a lifetime. I will continue volunteering at the Nova Scotia Gambia Association in Halifax and I plan to return to The Gambia to provide more support where I can. I am also hopeful to complete an independent study project through the nursing department particularly around patients with epilepsy in The Gambia. The options are limitless for me and would be for any nursing student hoping to be involved in something similar. It feels almost impossible to describe my experience on paper. This adventure was by far the most rewarding experience of my life. If you have ever thought about doing something like this, stop thinking and DO IT! It just might change your life!